The baritone Roddy Williams talks about how he manages the stresses and strains of international traveling and being away from home. He highlights the differences in performing opera compared giving song recitals, the challenges of memorising along with a humourous account of the various different performing disasters he’s experienced! He is also an accomplished recital artist who can be heard at venues and festivals including Wigmore Hall, Kings Place, LSO St Luke’s, Musikverein, Vienna and in the US. He will be Artistic Director of Leeds Lieder + in April 2016. 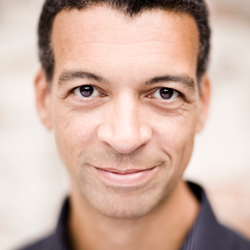 Roderick Williams enjoys relationships with all the major UK opera houses and is particularly associated with the baritone roles of Mozart. He has sung world premieres of operas by, among others, David Sawer, Sally Beamish, Michael van der Aa, Robert Saxton and Alexander Knaifel. He has sung concert repertoire with all the BBC orchestras and many other orchestras and ensembles internationally. Festival appearances include the BBC Proms including the Last Night in 2014, Edinburgh, Cheltenham, Aldeburgh and Melbourne. Recent and forthcoming engagements include Bach St John Passion with the Berlin Philharmonic and Sir Simon Rattle, Don Alfonso/Così for ENO, Van der Aa’s After Life at Melbourne State Theatre, Van der Aa’s Sunken Gardenat Opera de Lyon, Sharpless/Madame Butterflyfor Nationale Reisopera, a concert performance of Ned Keene/Peter Grimes with Accademia Nazionale di Santa Cecilia Rome and concert performances with many of the world’s leading orchestras and ensembles.